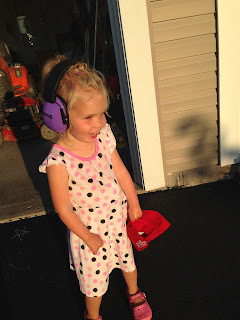 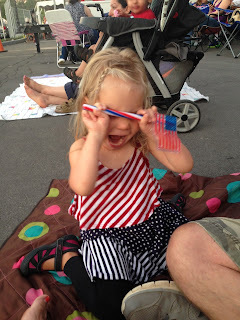 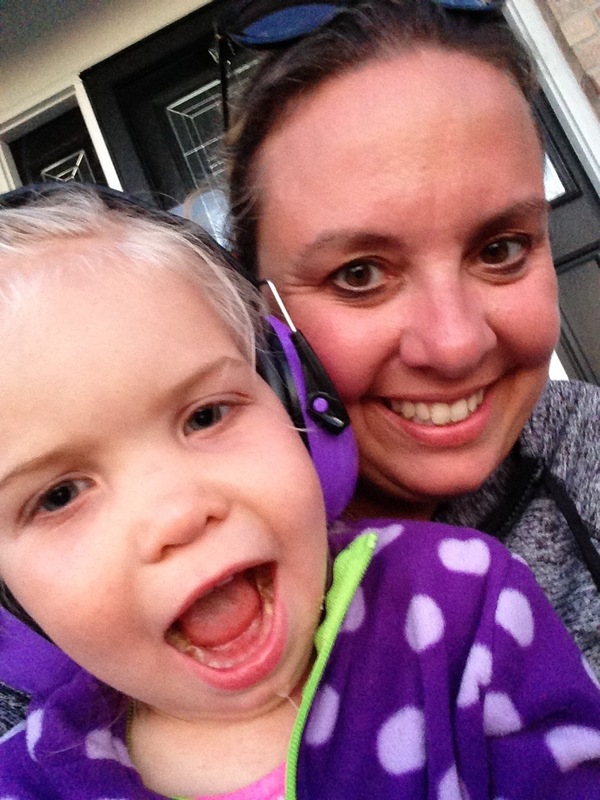 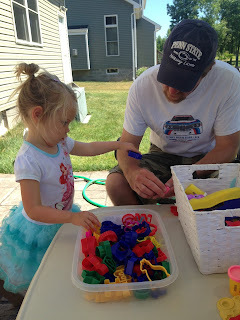 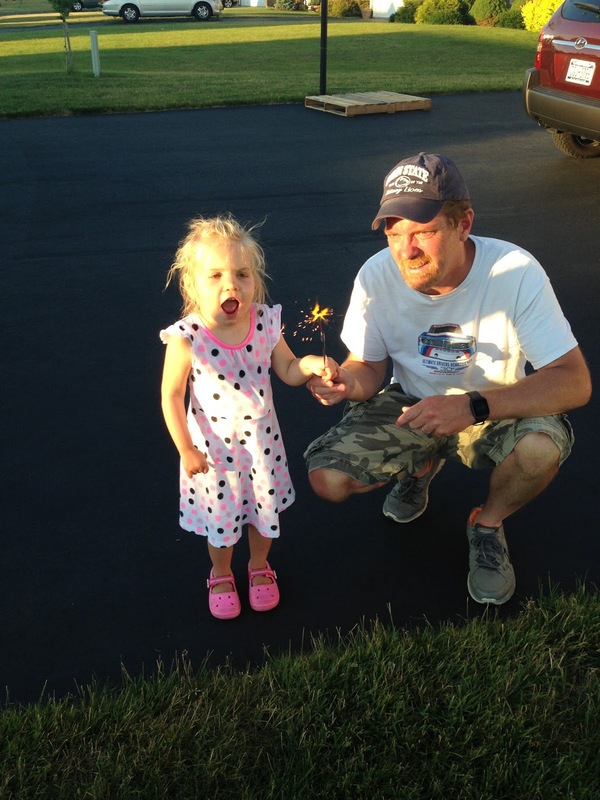 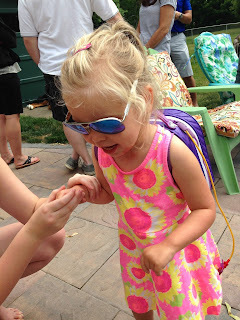 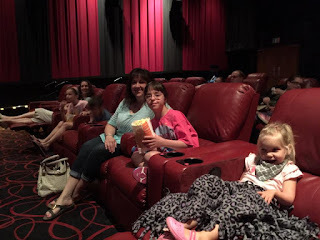 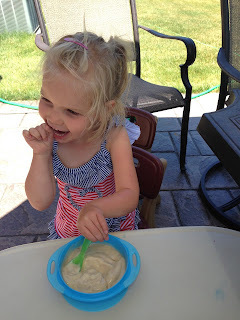 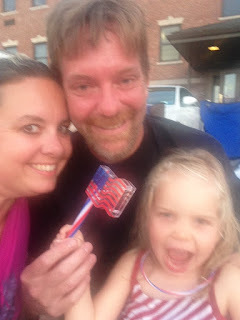 Annabelle's Blog: Happy 4th of July! Such a fun weekend at home for the 4th of July! 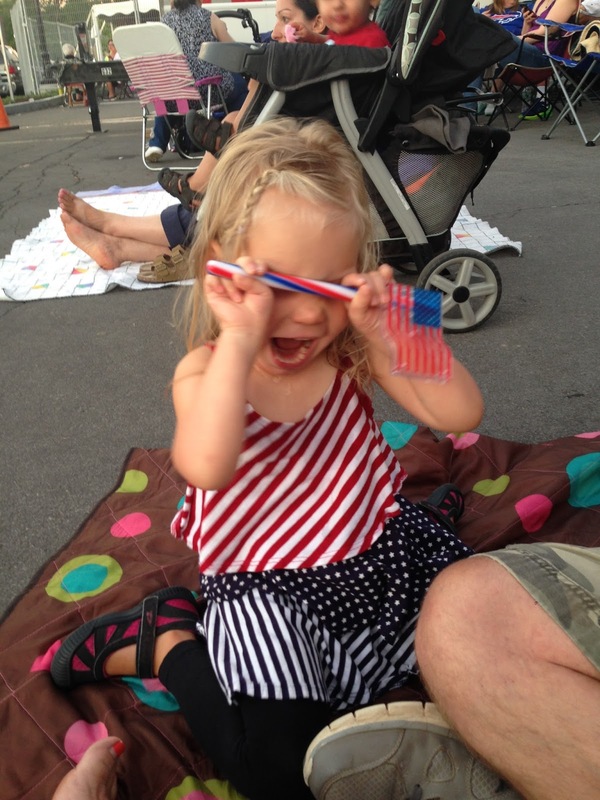 Annabelle got to see her first fireworks Sunday and Monday nights. 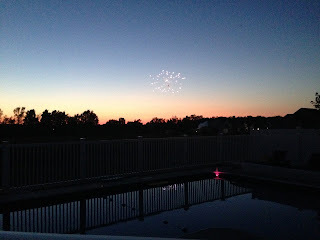 Our neighbors had a great show Sunday then Monday we went to a close town, Irondequoit, for their show. It was a little late for her and by 10pm she was "all done" but she really loved them. Homemade banana ice cream, she's so excited! 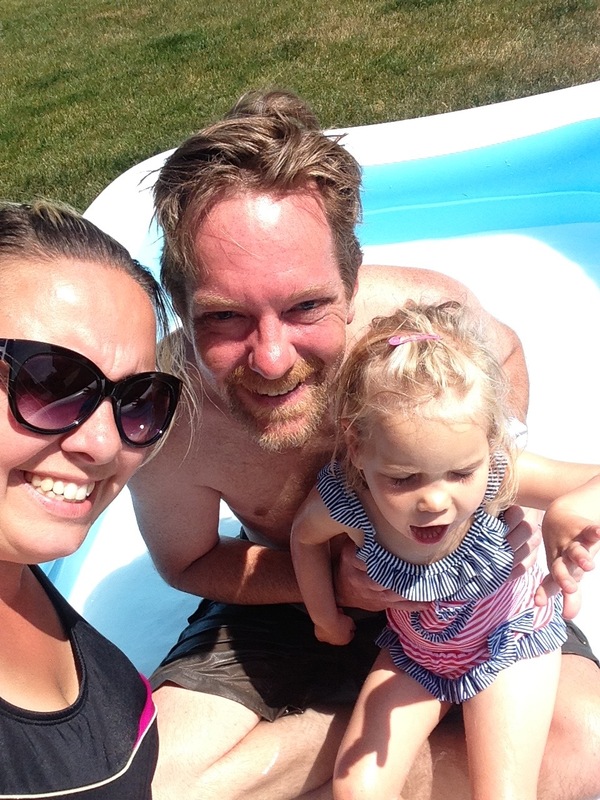 Family pool time, perfect size for us! 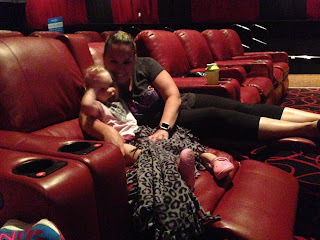 LOVE this theater, first time there for both of us!